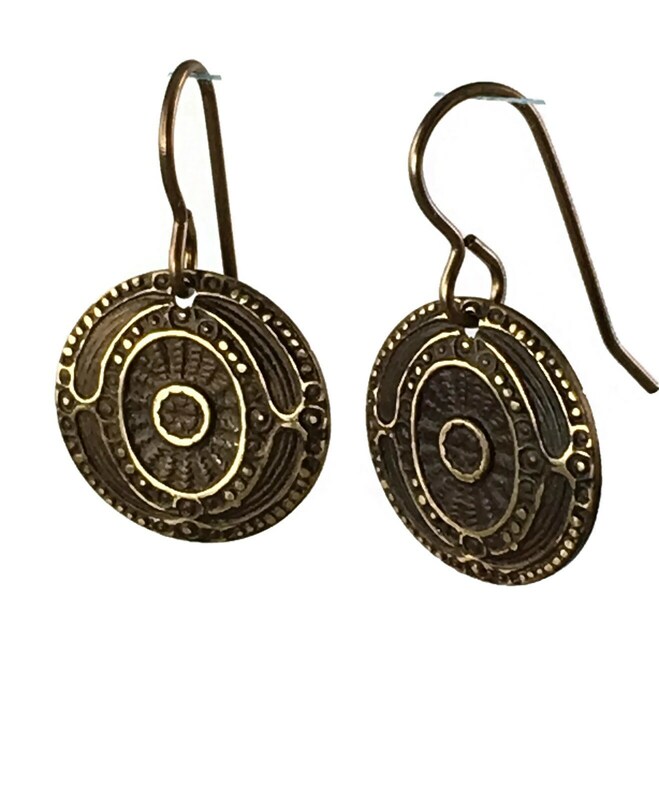 Ancient Coin style brass drop earrings. About the size of a dime. Lightly sanded to bring out the details. 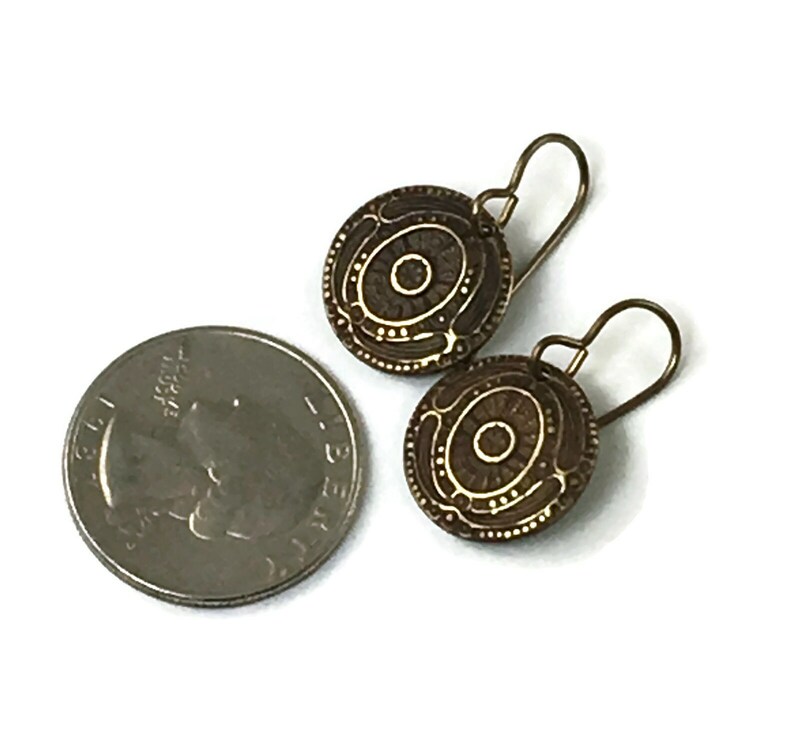 These earrings are short and light. 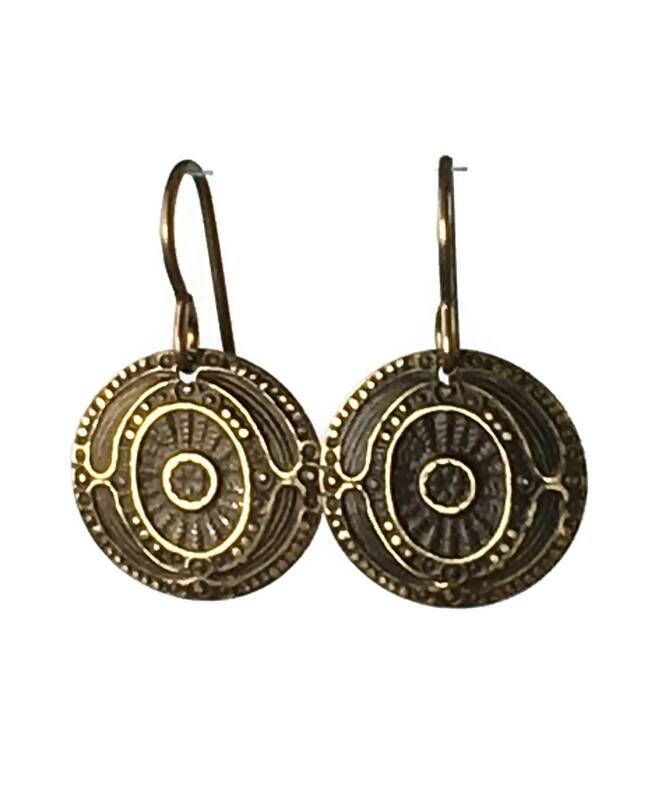 All metal is natural brass and is lead-free and nickel-free.